On Mother’s Day 2009, the Film Love series presents a selection of works about motherhood and the way it is filmed, from America to Bali, by artists, anthropologists, and documentarians. 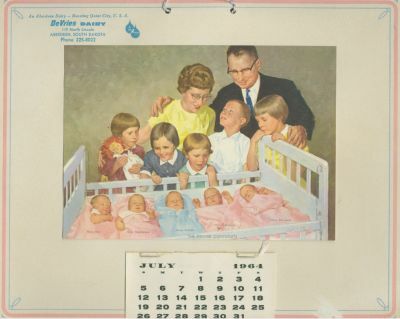 The evening centers on Richard Leacock’s 1963 classic A Happy Mother’s Day, about the birth of the Fischer quintuplets in Aberdeen, South Dakota. The film is both a witty portrayal of the civic frenzy surrounding the event and a portrait of mother Mary Ann Fischer, whose resistance to exploitation and sly, in-on-the-joke persona give the film its moral and emotional center. The film was rejected by its sponsor, and re-edited by ABC television into a more traditional representation of small-town America. The two versions present a veritable case study in how the same imagery can be used to create two different versions of an event, and two different visions of motherhood in America. We will screen both Leacock’s film and ABC’s re-edited version. Accompanying is David Ellsworth’s short video Super-8 Mom, in which the artist overlays his mother’s home movie footage from the early 1970s with her present-day voice. In stark contrast to American imagery of birth and motherhood are the films of famed anthropologist Margaret Mead. 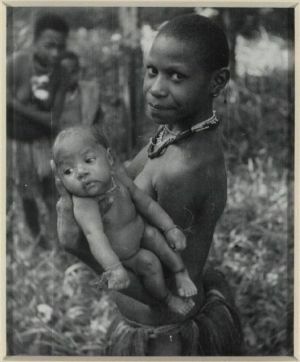 The powerful and surprising First Days in the Life of a New Guinea Baby documents the eventful first hour after birth of an infant in the Iatmul tribe. The delightful Bathing Babies in Three Cultures shows the fascinating differences in this daily ritual between the United States, New Guinea, and Bali.